scue’s UNISEG Pallet and associated collection service has significantly reduced or eliminated many of these problems. Battery Rescue’s collection service was established at the City Of Canning Waste Transfer Station, in October 2015. 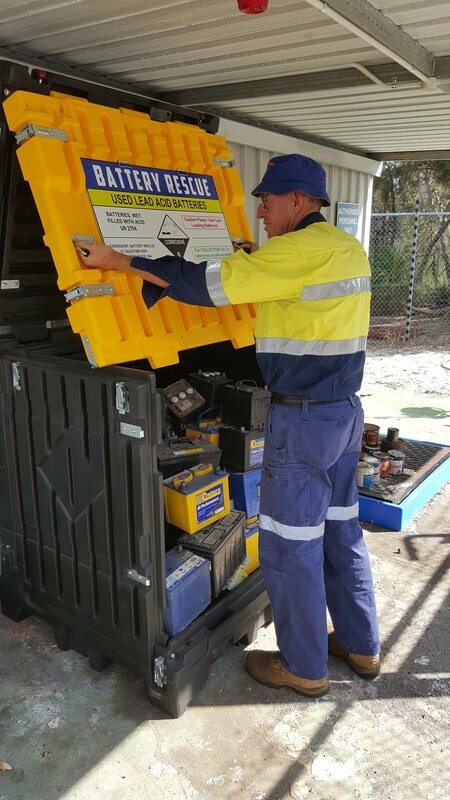 Battery Rescue Australia Pty Ltd was formally established in 2013 to demonstrate a successful battery collection & recycling business using the Battery Transport & Storage (BTS) Container, developed by its sister company UNISEG Products Pty Ltd. It currently owns the exclusive Australian license for the BTS Container for battery recycling applications. Battery Rescue is committed to delivering a regulation compliant, safe and environmentally sustainable Used Battery Recycling Service.